Metal roof shingles can provide the look of a traditional roof with greater durability and energy efficiency. If you're in need of a new roof, metal shingle roofing is a durable, energy-efficient alternative to asphalt shingles. 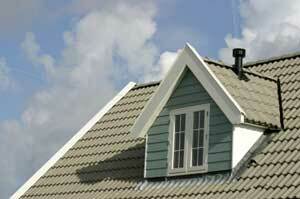 Shingle-style metal roofing is designed to imitate genuine slate, tile or wood shakes. Middle Creek Roofing installs and replaces metal roof shingles, offering products from top brands in a variety of style and color options. For a free estimate for metal shingle roofing installation or replacement, contact us today to schedule an in-home consultation in Greater Montgomery County, Chester County & Nearby. 1. Traditional look with greater durability: Architectural metal roof shingles can provide the same superior performance as metal panels while offering the look of conventional roof systems like asphalt shingles, slate, cedar shingles and tile. 2. More affordable than standing seam: Metal shingle roof typically costs less to install than a standing seam roof while providing the same level of protection, durability and longevity. 3. Authentic style with all the benefits of metal: The look you want with greater protection: If you own a classic colonial or a brick house, metal shingles can help you preserve that authentic look while providing all the benefits of a metal roof. Look of slate without the weight - Reduces weight on home’s structure. No more cracking or splitting. Natural beauty of cedar roofing. No more curling, cracking, rotting, or splitting. Lightweight - Weighs significantly less than conventional tile roofing. During your in-home consultation, we can discuss all the benefits of installing a metal shingle roof and help you find a solution that fits your home and budget. Contact us today to schedule your consultation and get a free cost estimate on metal shingle roof installation in Allentown, Reading, Bethlehem, or the surrounding area in Pennsylvania.